Just a few minutes away from Las Colinas Golf and Country Club, situated right on the incredible beach-front at Campoamor there is a private hideaway overlooking the sea, welcome to the beautiful and very exclusive Las Colinas Beach Club. It is the perfect place to escape from the world and to enjoy the sun, the beach and the sea, whether it's reclining on a sun bed beside the infinity pool, or sitting on the deck of the café bar between magnificent palm trees, with idyllic views out over the Mediterranean. Las Colinas Beach Club also has changing rooms, a separate kiddies pool, and a private car park. The large infinity swimming pool is simply incredible! 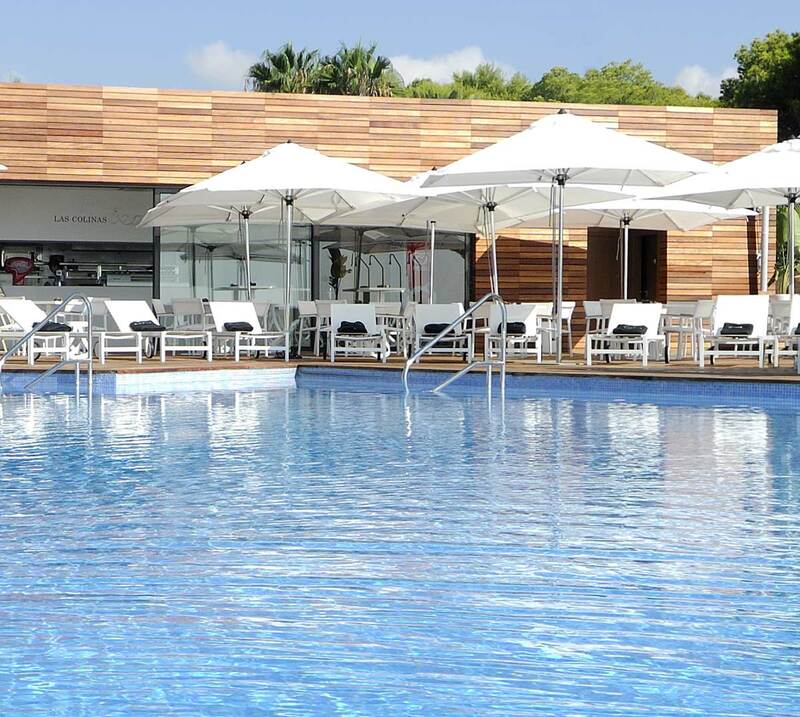 Swimming in the pool at the Las Colinas Beach Club offers views directly on to the Mediterranean Sea. There are snacks and full menu available at the café bar, the staff are very friendly and will cater for your every need. There is a regular shuttle service from the resort up to six times a day, this is a complimentary service for all owners at Las Colinas, the beach club is for the exclusive use of home owners at Las Colinas. Please contact us now to find out you can own a home at Las Colinas Golf and Country Club and start enjoying all the wonderful benefits at Spain’s newest 5 star resort.